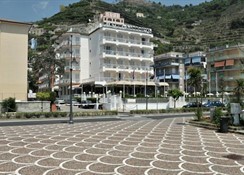 Welcome to Pietra di Luna in Amalfi. 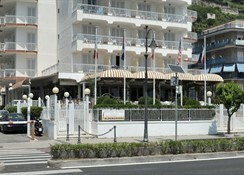 The hotel is located 50 m from the sandy and pebble stone beach. To make your stay more comfortable air conditioning is available. 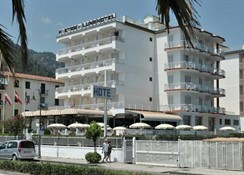 The staff in this 4 storey hotel speaks Italian, German, English and French. Mobility on holiday is made easy through car rental. A fresh water swimming pool, seasonally open is available. 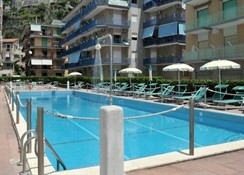 Sunshades and sunbeds are available for an additional fee at the beach and at the pool. Distance from the hotel to: airport (65 km) and train station (30 km). The hotel is within easy reach of bus stops and city centre. Vehicles may be parked in the garage. 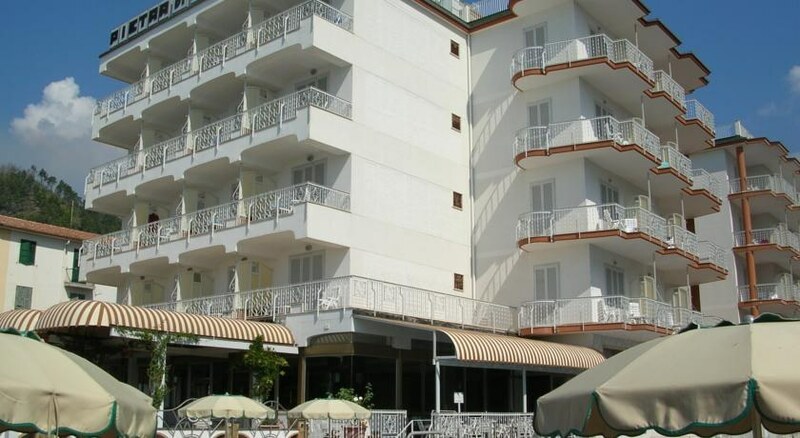 Amenities: For convenience the hotel offers babysitting, laundry service, a safe and currency exchange. Internet access is provided at internet terminals and at wifi-hotspots. Meals: The breakfast type is Buffet. 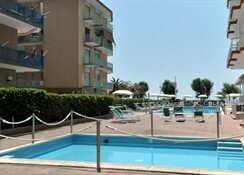 Sport and Leisure: At Pietra di Luna recreational amenities include a sauna. Additional Information: Payment facilities include Visa Card, American Express and Euro/Master Card. Additional fees may apply for certain facilities, amenities or activities.